When your small business is one that is B2B (Business to Business), there are a number of problems that are faced, primarily marketing your small business. To help identify some of these problems, we talked to the small business owners who rent physical office space or have virtual offices and services with us. The primary problem that our office clients told us was identifying their target market, because their first instinct is that everyone is their target market. This creates a problem – because without targeting their audience, they are missing key opportunities from potential customers who want to hear from them specifically. In many cases, broad-based marketing does not work because it gets lost in the sea of companies trying to market to everyone. Once a small business defines its true target market and knows the actual size of that market, it has gotten to a place where it can really start marketing. Identifying the market is only the first step. 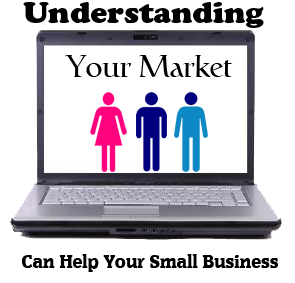 Next, a small business has to segment that market into the potential clients that it can actually service. With marketing efforts and budgets focused on the right audience, a small business should be able to gain more leads and thus more sales. Besides managing marketing, leads and sales, small business owners say that they need to learn how to manage their time. How you spend your time on the important issues and separate those that achieve success over those that are time-wasters is the first step in being productive and profitable. Three ways that help in keeping your time managed are: Writing down 3 to 5 of your most important and urgent priorities at the end of the previous day or early on the current day; being specific about what your daily priorities are; and keeping you and your staff accountable to those daily goals and tasks. When identifying your leads, get to know your customers and what their typical personality traits are. When you are going to make a pre-sales or sales approach to those clients, you want to have an idea what kind of personality each one has. If they are a ‘laid-back’ person and you come across in the first encounter with the hard sell, chances are you are not going to make the sale. You want your persona to emulate theirs and make them want to feel that you are on the same page, so to speak. Sometimes it is as easy as using the same vernacular as they do. Doing your homework on your potential clients will greatly improve your lead-to-sales ratios. Remember, the more targeted your marketing is, the better, more qualified leads you will get. The better the leads, the better chances of making that lead an eventual happy customer. The more qualified prospects you work with, the better chance you will close the sale. This takes some extra effort – but those initiatives will pay off for your small business in the long run.